and AQUALUNG and CRESSI brand-new dive gear. Our five different fully-equipped boats are moored at the pier, waiting for our guests to jump in and start their trips. Take a look! 8 meters-long fiber glass boat with canvas cover. Diving boat with space for up to eight divers. 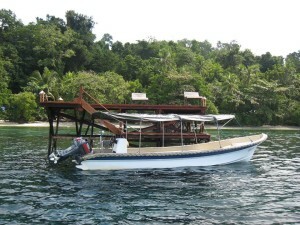 Diving boat with space for up to eight guests. 2 YAMAHA engines 40 HP/each. 10 meters-long fiber glass boat with cabin and toilet. 2 SUZUKI engines 115 HP/each. 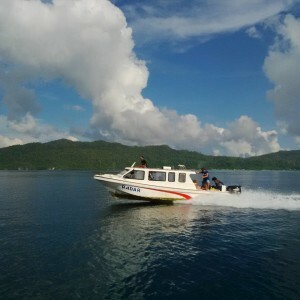 Diving and excursion boat with space up to twelve guests. 12 meters-long fiber glass boat with large cabin and toilet. 2 SUZUKI engines 200 HP/each. 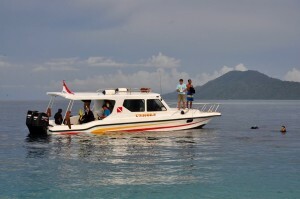 Diving and excursion boat with space up to fifteen guests.